I was immediately greeted by our lovely server Anays and a cucumber martini made from gin infused cucumber mixed with fresh cucumber and lime juices. As I write this, it occurs to me that it could have been a bit incongruous with the cold winter weather, but instead of feeling too summery, it served as the perfect palette cleanser and opener. 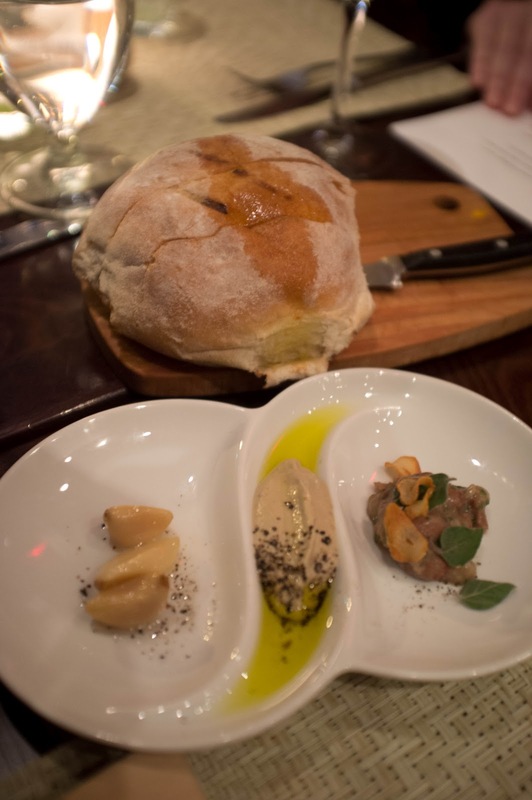 Shortly thereafter, the bread arrived with a trio of roasted garlic, eggplant puree, and cranberry bean salad. They said they don't make the bread in house, but you could've fooled me since it tasted fresh out of the oven. They must get a daily supply. 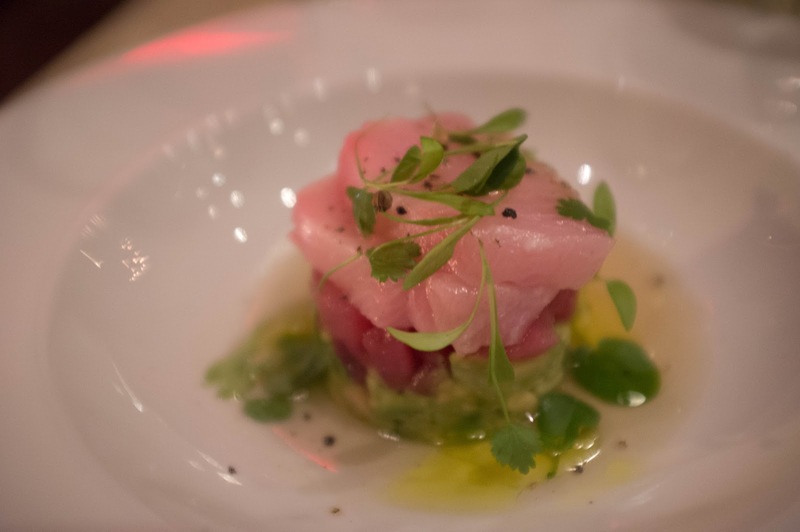 The first course was the hamachi and yellowfin tuna duo served over avocado with preserved ginger sauce. The ginger sauce gave it a hint of sweetness that you don't find in your typical tuna tartare. What a great, light way to start a meal. 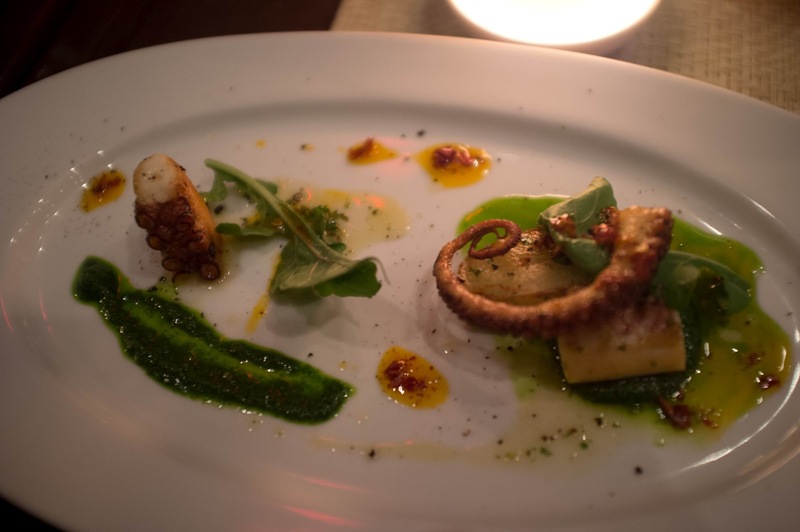 (Note that since we were doing a tasting menu, this portion is about half the size of the normal serving.) This was paired with a Sparkling Rose from Modelet. I am ALL about the Sparkling Rose right now, so they were already winning me over with this choice. For the second course, we were treated to pan roasted sea scallops with parsnip mousseline and sicilian capers with a Pinot Grigio from Raxmalto. This course was very elegant. 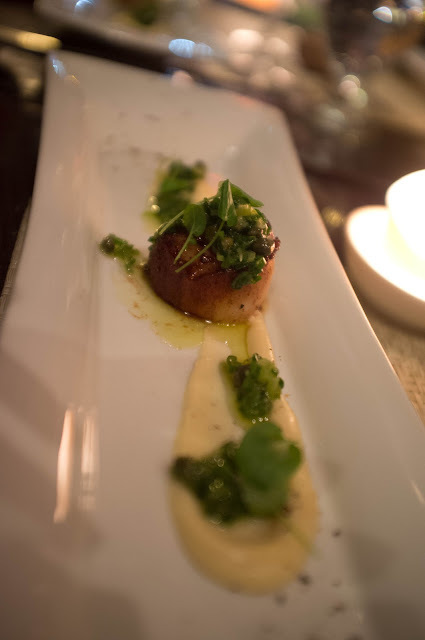 The parsnips and capers were mild and didn't overshadow the subtle flavor of the scallop. 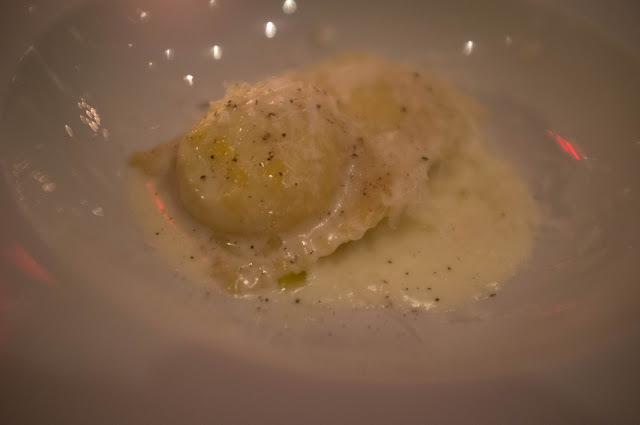 But then came the Burrata Ravioli with truffle cream and parmiggiano paired with a Monastrell from Lavia. Salty, creamy, and cheesy with that magic flavor of truffle. This is the dish I would bring The Mr back for. 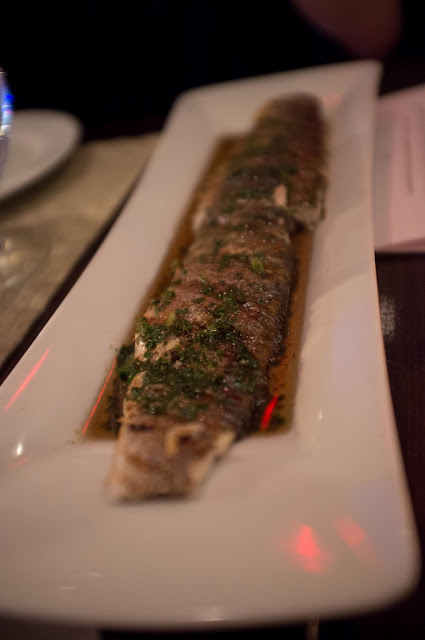 Then came out the whole roasted branzino with preserved lemon, chervil, and buerre noisette. Today at lunch was my first time to eat branzino and I was happy to return to such a mild, delightful fish. 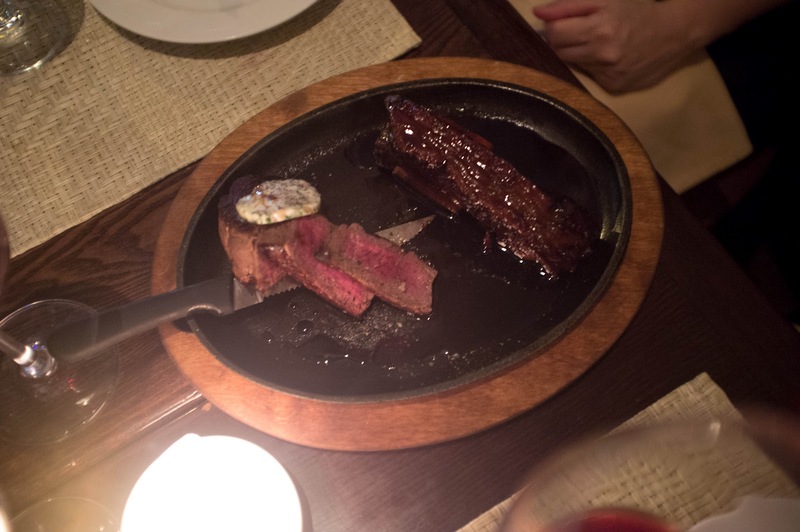 The beef duo of filet mignon and short rib with confit garlic butter were a fantastic ending to the meal. The short rib was braised in port wine and was so tender that I didn't even need a knife. By this time we were incredibly satisfied, so it was the perfect time to wrap up the evening with dessert. We enjoyed a sweet Passito wine from L'Ecru with our, not one, but three delectable dishes. 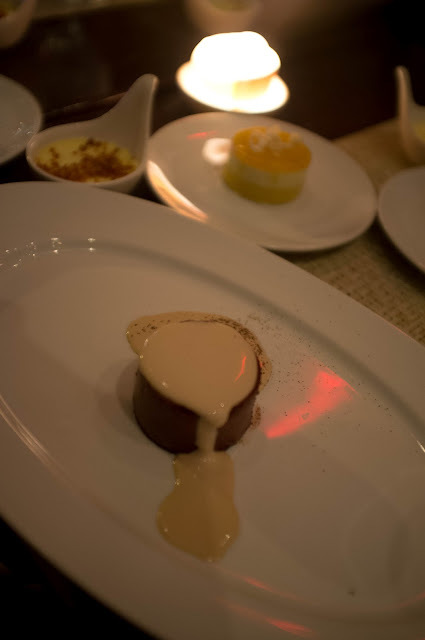 An almond pot de creme (which is served at the end of every meal), a passion fruit semifreddo, and a frozen chocolate mousse. While the chocolate mousse sounds like the most boring of three, it stole the show. It had an amazingly, rich and creamy texture and was perfectly highlighted by the mascarpone, espresso sauce. Sorry ladies, he's got a girlfriend. 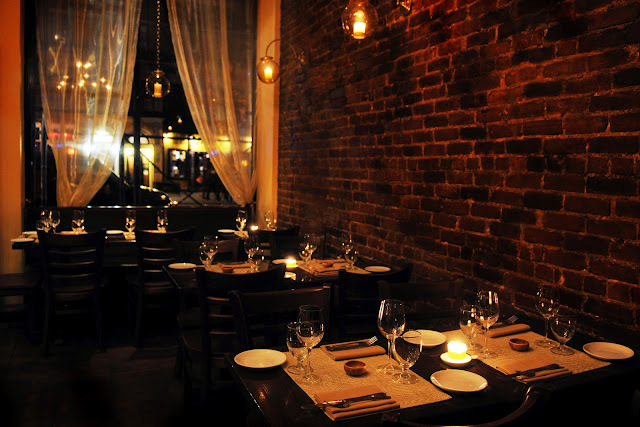 But there's no reason you can't go enjoy his food at Vai. Update: I also just found out that when the weather warms up they will add an additional outdoor cafe- so add this to your list of outdoor dining finds for this summer!